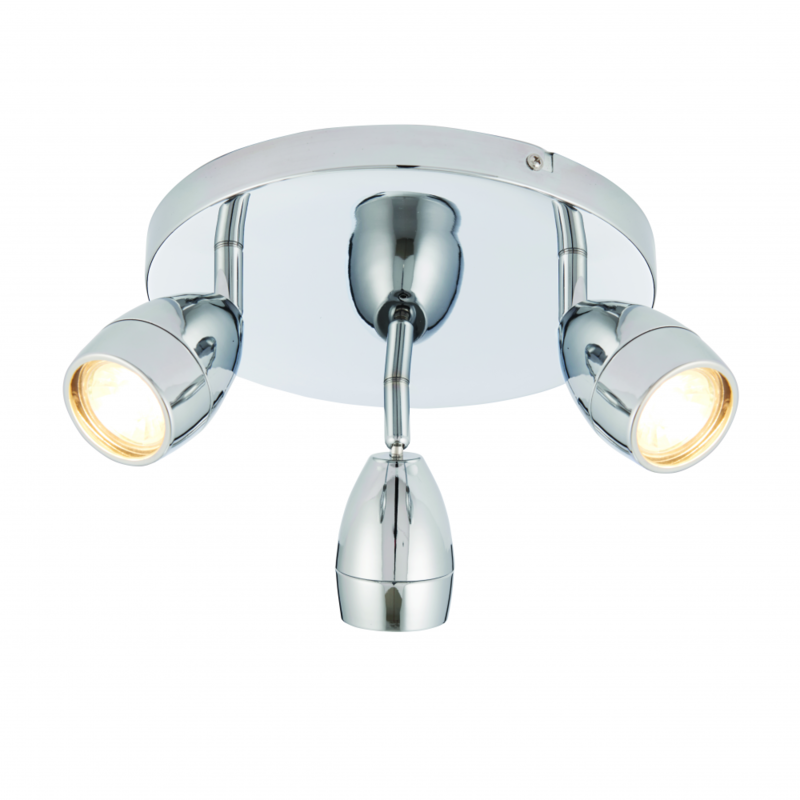 A 3 light LED bathroom spotlight with smooth curved lines finished in a chrome effect plate. IP44 so suitable for use in the bathroom. Dimmable and matching single light available. 13cm projection x 24cm diameter. Bulb information: 3 x 5W LED GU10 - not included.